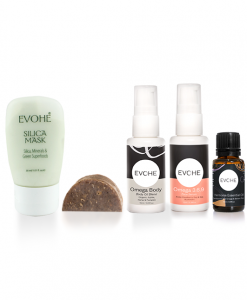 View cart “Treat Yourself Set” has been added to your cart. 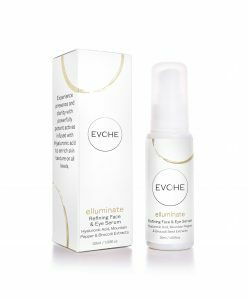 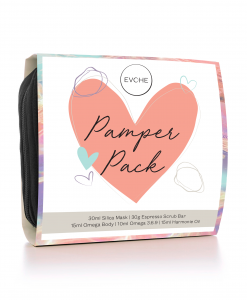 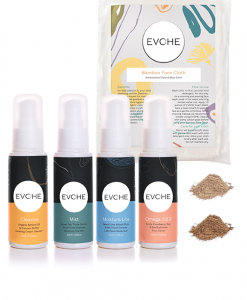 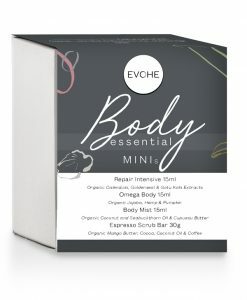 EVOHE all natural Signature Blend has been formulated to hydrate your skin at the deepest level so you feel nourished and luminous. 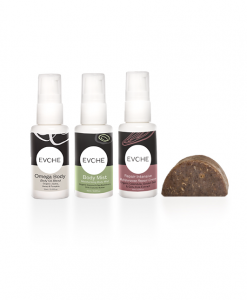 potent treatment for addressing the signs of ageing. 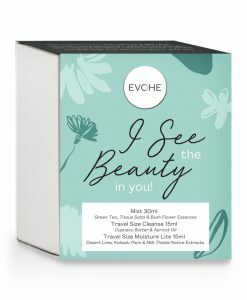 This unique blend has been formulated to hydrate the skin at the deepest level so your skin is nourished & luminous. 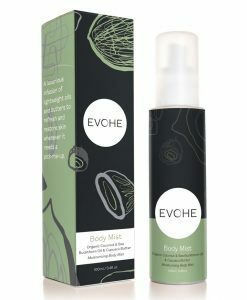 Helps soothe, heal and repair dry skin by replenishing and protecting the skin’s moisture barrier. 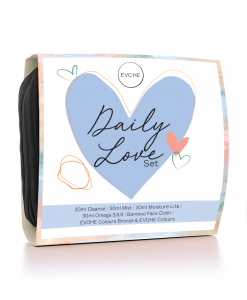 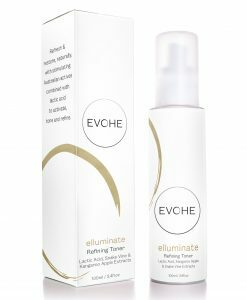 *To achieve the ‘EVOHE Glow’ use morning and evening as a daily hydrating treatment. 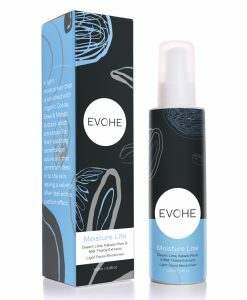 *For deeper skin nourishment, use before or after EVOHE Moisture Lite or EVOHE Repair Intensive. 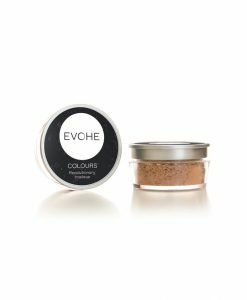 *Revolutionary Makeup: Can be used in conjunction with EVOHE Colours Mineral Powder, to create a silky, custom liquid foundation. 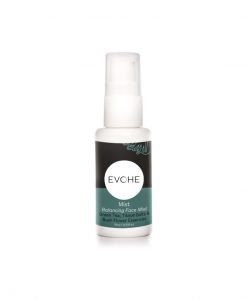 Mix in the palm of your hand and apply with fingers for a dewy finish. 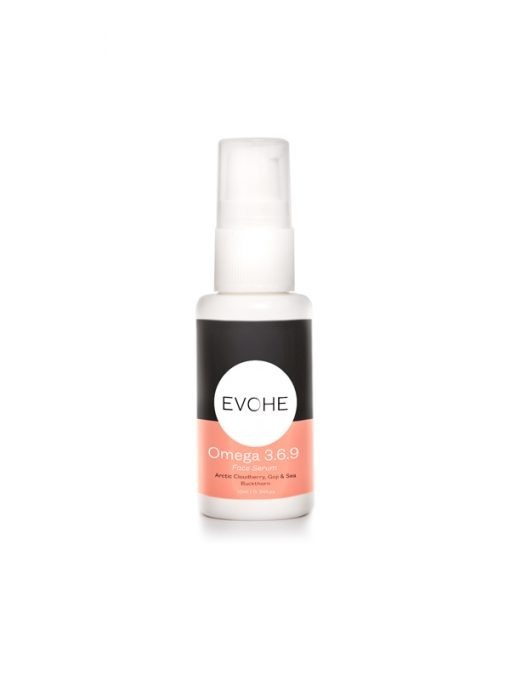 *Burns and scars, in particular, will experience noticeable skin repair with Omega 3.6.9 once the initial wound has healed over.